Al-Qaeda bomber Ramzi Yousef plans the 1993 World Trade Center bombing (see February 26, 1993) at an Abu Sayyaf base in the Philippines. Yousef will admit this during his trial for the bombing after his 1995 arrest. He says he plotted there with “Afghans”—other veterans of the war in Afghanistan during the 1980s. [Labeviere, 1999, pp. 220-221] It isn’t known when he did this exactly, but reports place him in the Philippines with the Abu Sayyaf for much of early 1992 (see December 1991-May 1992) before his trip to the US in September 1992 (see September 1, 1992), so it most likely took place then. It will later come to light that the Abu Sayyaf militant group is deeply penetrated by the Philippine government at this time, as even the second in command of the group is an undercover operative (see 1991-Early February 1995). It is not known if the Philippine government gave the US any warning about Yousef’s activities. 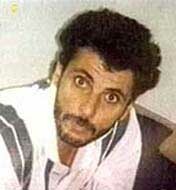 Mohammed Saddiq Odeh. [Source: ABC News]An al-Qaeda operative helps the militant group Abu Sayyaf conduct attacks in the Philippines at least between the years 1993 to 1995, if not longer. Mohammed Saddiq Odeh, an ethnic Palestinian, went to college in the Philippines in the late 1980’s. Then he went to training camps in Afghanistan, joined al-Qaeda there, and became an explosives expert. [New York Times, 9/30/2001] Philippine intelligence agents photograph him in front of his house in the southern city of Davao at some point. [Philippine Daily Inquirer, 10/1/2001] He is a suspect in a 1993 bombing of a cathedral in Davao that kills seven. The attack is blamed on Abu Sayyaf. In 1995, Philippine authorities arrest him for possession of explosive devices and then let him go. He will later be captured and convicted for participating in the 1998 US embassy bombings (see 10:35-10:39 a.m., August 7, 1998). [New York Times, 12/27/1993; Contemporary Southeast Asia, 12/1/2002] In late 1998, the Washington Post will report that he had recently confessed to taking part in “Operations in the Philippines that Odeh refused to describe in detail.” [Washington Post, 8/19/1998] Presumably these are Abu Sayyaf operations since they are the only Muslim militant group conducting attacks in the early 1990s. 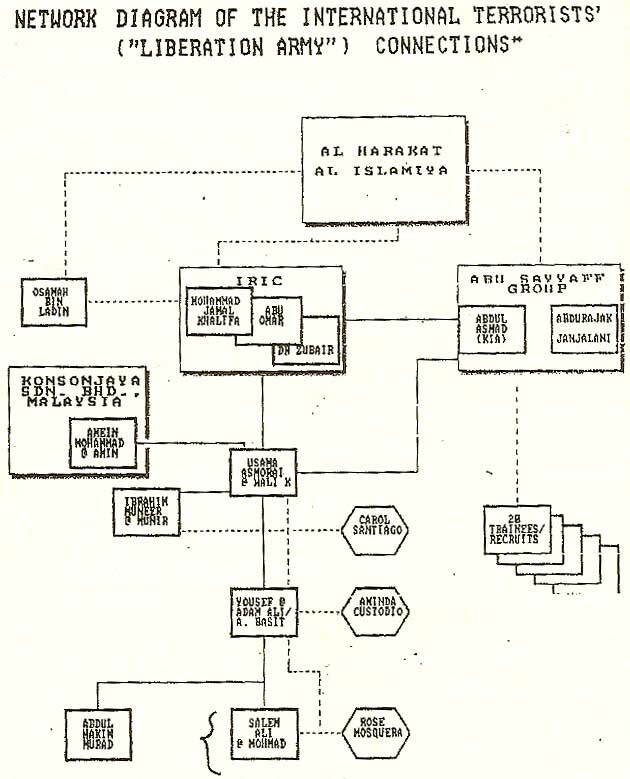 From at least 1991 to 1995, Abu Sayyaf is deeply penetrated by a Philippine government operative (see 1991-Early February 1995), but it unclear what the US government may have been told about Odeh and when. The US had been warned of Odeh through another source in 1993 (see Summer 1993). Odeh will also later admit to helping militias in Somalia kill US soldiers there in 1993 (see October 3-4, 1993). 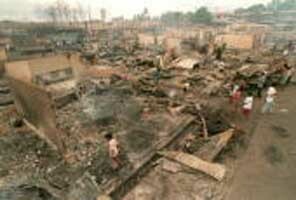 Devastation after the raid on Ipil. [Source: Romeo Gacad / Agence France-Presse / Getty Images]The Abu Sayyaf, a Muslim militant group, attacks the Christian town of Ipil in the Southern Philippines. About 200 militants burn, loot, and shoot inside the town for hours, killing 53 and withdrawing with 30 hostages. In 2001, the Independent calls this the group’s “bloodiest and most shocking attack.” [Washington Post, 5/25/1995; Independent, 3/4/2001] Edwin Angeles is an undercover operative for the Philippine government while also serving as Abu Sayyaf’s second in command (see 1991-Early February 1995). Although Angeles’ undercover status was exposed in February 1995 (see Early February 1995), he claims to still have been in the group when the raid was planned. He says the raid was to test a new group of recruits recently returned from training in Pakistan, and to rob several banks. [Washington Post, 5/25/1995] Aquilino Pimentel, president of the Philippines Senate, will later allege that Angeles told him later in 1995 that the Philippine government provided the Abu Sayyaf with military vehicles, mortars, and assorted firearms to assist them with the raid. [Senator Aquilino Q. Pimentel website, 7/31/2000] At this time, the Philippine government is unpopular due to a recent scandal and is attempting to pass an anti-terrorism bill. 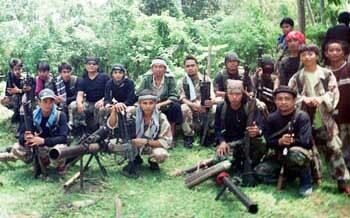 The government has sometimes been accused of manipulating the Abu Sayyaf for Machiavellian purposes (see 1994, July 31, 2000, and July 27-28, 2003). The State Department officially designates the Abu Sayyaf a foreign terrorist organization. 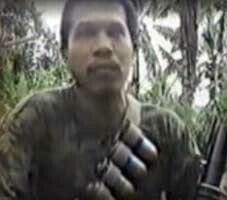 The Abu Sayyaf is a militant group in the Philippines with reported connections to bin Laden. Thirty groups are newly listed, including other groups associated with bin Laden, such as the Groupe Islamique Armé (GIA) in Algeria. [New York Times, 10/7/1997] However, al-Qaeda will not be so listed until 1999 (see October 8, 1999). Al-Qaeda is still relatively unknown; the name was first mentioned in the media in 1996 (see August 14, 1996). 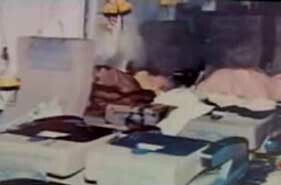 May 16, 2002: CIA Operative Hurt While Posing as Terrorist Bomber in Philippines? US citizen Michael Meiring is suspected of being a CIA operative after injuring himself in an explosion in his own hotel room. Meiring claimed a grenade was thrown into his room, but a Philippine government investigation determined the center of the blast came from an assembled bomb kept in a metal box owned by Meiring. Hotel employees said Meiring told them for weeks not to touch the box while cleaning the room. Additionally, an ID card with his picture on it found in his room lists him as an officer in the Moro National Liberation Front (MNLF), a Muslim rebel militant group. [KHOU-TV, 12/2/2004] One hour after the bombing in his room, a bomb explodes in a marketplace in the same region, injuring four people. [Agence France-Presse, 5/16/2002] In the two months prior to this explosion in his room, there were several other other explosions in the same region, killing 37 people and injuring 170 more. [Minda News, 5/30/2003] In 2003, a group of Philippine soldiers will mutiny, in part because they believe these bombings were done with the secret approval of the Philippine government, and not done by rebel groups as the government claims (see July 27-28, 2003). A number of Philippine officials speculate Meiring may have been a CIA agent. Those who knew him said that he referred to himself as a CIA agent, but said it stood for “Christ In Action.” He had frequently visited the Philippines for at least ten years. [Minda News, 5/30/2003] He claimed to be a treasure hunter, and had a company called Parousia International Trading (in Christian theology, Parousia is a term for the second coming of Christ). He also had ties to right wing extremists in the US (see 1992-1993). He was said to be very well connected in the Philippines, being visited in his hotel room prior to the explosion by congressmen, a governor, and military officials. He was also connected to militants in the MNLF, Abu Sayyaf, and other groups. He was said to have met with top leaders of these militant groups starting in 1992 (see 1992-1993). One source who knew him said that earlier in the year he had predicted a series of bombings and that his predictions “always came true.” [Minda News, 5/31/2003] Meiring was already a major suspect in the production and distribution of counterfeit US Treasury bills. Over the last few years, billions of dollars worth of fake US Treasury bills were confiscated in the region. [Time, 2/26/2001; BusinessWorld, 5/27/2002] Four days after the explosion, FBI agents take him out of the hospital where he was recovering from severe burns and amputations. According to the Philippine Immigration Deputy Commissioner, agents of the US National Security Council then take him to the capital of Manila. The Financial Times will later report that he returns to the US and is handed over to the CIA. [Manila Times, 5/30/2002; Financial Times, 7/12/2002; Guardian, 8/15/2003] The Guardian will later comment, “Local officials have demanded that Meiring return to face charges, to little effect. 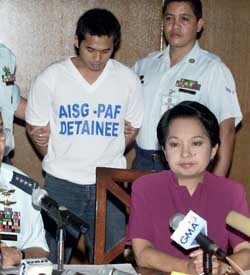 BusinessWorld, a leading Philippine newspaper, has published articles openly accusing Meiring of being a CIA agent involved in covert operations ‘to justify the [recent] stationing of American troops and bases in Mindanao.’ The Meiring affair has never been reported in the US press.” [Guardian, 8/15/2003] In 2004, a Houston TV station will trace Meiring back to the US, where he still lives, despite the Philippine government wanting him to be extradited to face a variety of charges related to the explosion (see December 2, 2004). Abdulmukim Edris, standing with his head bowed in the back, and Philippine President Gloria Macapagal Arroyo, sitting in the front in purple. [Source: Erik de Castro / Reuters / Corbis]Beginning on October 2, 2002, a series of bombings take place in and around Zamboanga City in the southern Philippines. This region is a center of Islamist militancy in a majority Christian country. During the month of October, bombs explode outside a restaurant near a military camp (killing four, including a US Green Beret commando), at the entrance to a Catholic shrine, at a bus terminal (killing seven), and inside two department stores (killing seven). 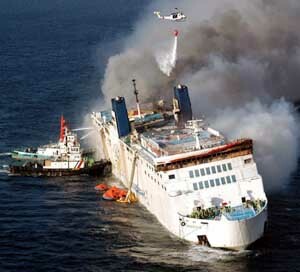 A total of 21 are killed and more than 200 are injured. Mastermind Appears to Be Mole - But in July 2003, Edris will escape from a high-security prison with two other militants (see July 14, 2003). One week after the escape, the Philippine Daily Inquirer will report that Edris has long-time links to the Philippine military and police. A police intelligence source says that he has been a government asset since 1994. [Philippine Daily Inquirer, 7/23/2003] Edris will be killed about two weeks after this report. He allegedly is killed hours after he was arrested while trying to wrestle a gun from a soldier. 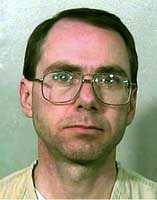 Some will allege that he was deliberately killed in order to prevent him from revealing what he knew (see October 12, 2003). Another Dubious Mastermind - Another alleged mastermind of the Zamboanga bombings, Mohammed Amin al-Ghafari, is arrested on November 8, 2002, and then quickly deported, despite allegations that he helped fund the 1995 Bojinka plot and had major terrorist links. 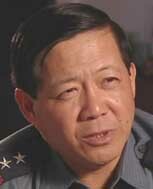 He is said to have links to Philippine intelligence and high-level government protection (see October 8-November 8, 2002).